PALMDALE – The City of Palmdale is asking residents to turn off their sprinklers during the current cold weather snap as overspray from lawn watering is turning to ice and creating unsafe conditions. For more information, please contact Public Works at 661-267-5300. With record cold weather across the Antelope Valley placing a heavy strain on short-term natural gas supplies, utility companies are asking local customers to conserve energy, particularly natural gas. The following steps can help ensure natural gas supplies are sufficient to meet demand created by the severe winter. 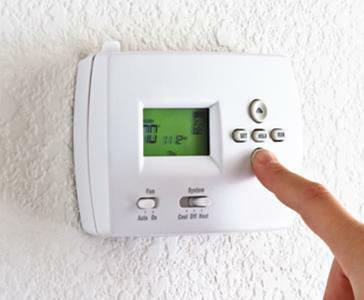 You can conserve energy by lowering your thermostat by 3 to 5 degrees. Lower your furnace thermostat by three to five degrees (health permitting). Use LED holiday lights, which last longer and use about 70% less energy than incandescent light strings both indoors and outside. Install a timer and set your holiday lights to automatically turn on and off at specific times. Follow these important safety tips when heating your home to reduce the risk of carbon monoxide (CO) poisoning. Symptoms of CO poisoning can include unexplained nausea, headaches, drowsiness, mental confusion and flu-like symptoms. Never use your oven, range or outdoor grill to heat your home because these appliances are not designed for this purpose and can emit dangerous carbon monoxide. If you suspect that you or a loved one is suffering from CO poisoning, call 911 immediately. 4 comments for "Palmdale to residents: ‘Curtail watering during cold snap’"
A hater calling out haters? Sounds like Rex, projecting all his sins on others. Again. 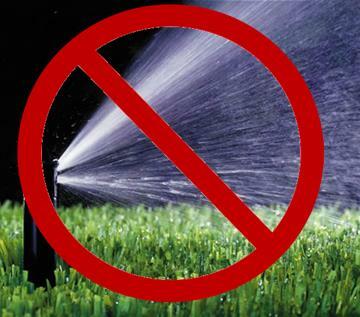 BTW the plant will be using reclaimed water. But don’t let facts stop your “dead baby” BS. Sure ***. Don’t let facts get in the way of some good ole Lancaster bull. Didn’t you read where Rex’s lapdog Marv is going to stop the water from flowing for the power plant anyway? Doesn’t matter if the water comes from Palmdale or not, Rex and Marv think this vally is their personal playground and they use it and abuse it as they wish. When are people gonna wake up around here? This one is for all the haters out there.. The City of Palmdale is asking residents to turn off their water during the operation of the power plant as water evaporation from cooling towers is leaving our aquifer and creating unsafe water conditions for all of the Antelope Valley. For more information, please contact Public Works at 661-867-5309. Please make sure to enclose all pools, ponds, water run off collection ditches as well. Washing of cars requires immediate squeegee and draining into a bucket. All swamp coolers are hereby being removed as they are actually evaporative coolers which is just a miniature version of what the power plant will use!